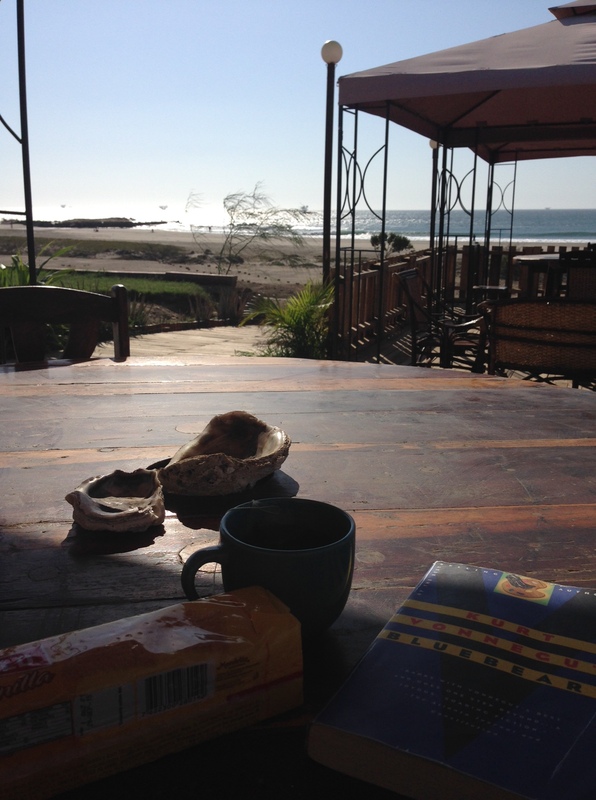 Given how much I disliked my workaway in Huanchaco, I decided to leave early (surprise, surprise) . I am not sure I have ever been so happy to leave a situation. I thought about staying in Huanchaco for a bit longer but not at the hostel but then I was worried about running into people. I did meet a girl at the hostel who was traveling to Mancora as well so that was the one benefit of having someone to travel with for a bit. By this point, I was so ready for a proper vacation. The Loki in Mancora and basically what it looked like when we arrived at 6am. I caught an overnight bus with Stacy, the girl I had met at the hostel. She had just finished up working for 2 and half years in Lima. She was from Australia. We stayed at the Loki and it worked out great as we got to check in early ( I mean 5am early) and we could sleep once we got there. We had great roommates as well who we ended up becoming friends with. Who wouldn’t want to lounge on this beach all day? Now a bit on Mancora. Mancora is a beach party town on Peru’s northern most coast. It is around 3 hours from the border to Ecuador. 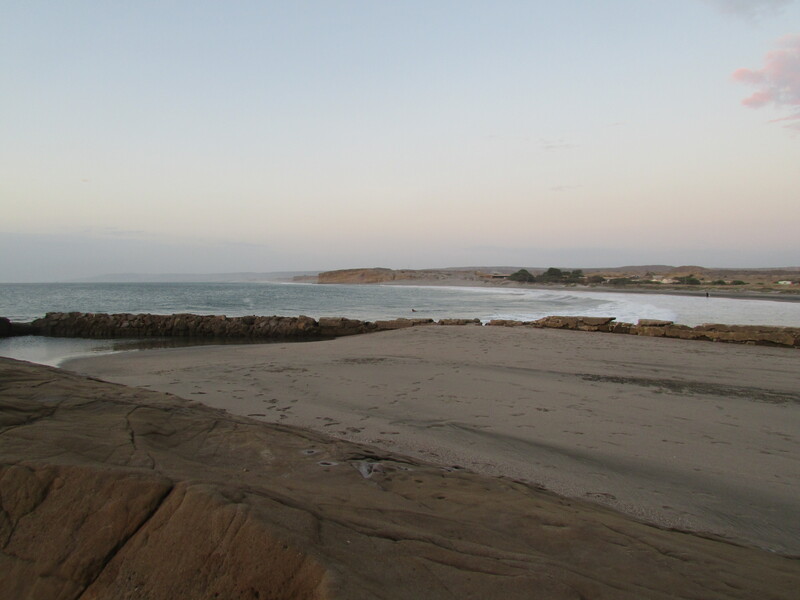 Mancora is one of the most touristy cities in the North of Peru, if not Peru. The beaches show you why. The neon painting that ensued in Mancora. Later that evening we decided to get dinner with the other girls we met. We got some amazing burritos that were in a crepe (different, I know) and made ourselves some mixed drinks on the ocean side. Given that we were staying at a party hostel which had cheap drinks, we stayed there for the night and actually had a lot of fun. Cheap drinks, glow paint, and a game or two of waterfalls and you have a great night. We wrapped up the night with some ping pong and were out by midnight. Green Eggs & Ham. I liked it so much I came back again the next time I was in Mancora! The next day was a bit more of the same. We got breakfast at a place called Green Eggs & Ham based on the famous Dr. Suess book. It was a welcome break to have American style breakfast after 3 months of travel. This is a must stop when in Mancora. I highly recommend the fresh juices as well! We spent the rest of the day laying out on the beach and enjoying life. Later that night, we said goodbye to our new friends and Stacy and I moved to another hostel for ½ the price and our own room. We laid low on a Sunday and swapped hotel horror stories. We were woken the next morning to be told that the place was being fumigated (ya know, to kill bugs and everything living). Not ideal but we managed. It was fine with us as we wanted breakfast and to buy a few things. Stacy’s next stop was north to Ecuador as I was heading an hour south to stay in Lobitos for two weeks. More adventure awaited. I decided to head straight for Huanchaco on Monday so I could get there by Tuesday night. It was a very long trip. I think Arequipa to Lima was over 12 hours, and then another 8 hours from Lima to Trujillo, and then a half hour taxi to Huanchaco. Every thing seemed good the first night. I quickly realized looks can be deceiving. Huanchaco’s curved beaches on the promenade. I thought I had signed up to mostly help reception and help people set up their new hostel. What they really needed was cleaning help. They put me to work the first day and I spent the next 7-8 hours cleaning. Now, most workaways have people working 4-5 days a week at 5 hours a day. This workaway expected me to work 6-8 hours a day, 6 days a week. This turns what should be a mutual arrangement into a nightmare. I was working harder than I had worked in a long time, for basically no pay, or the equivalent of $1 an hour. I did not realize when I agreed, that I would be a cleaning lady (nothing against, I just was expecting more reception type work). To make matters worse, the couple who owned the hostel were a bit unorganized . At one point they had too many volunteers and not enough rooms so that people were sleeping on the roof. More than half of the volunteers were friends of the couples which made matters worse, mostly for me. It was the perfect opportunity where they just took advantage of hard workers. It seemed any time I sat down for a break, there would magically be more things to do. I think they were terrified themselves of people taking advantage. 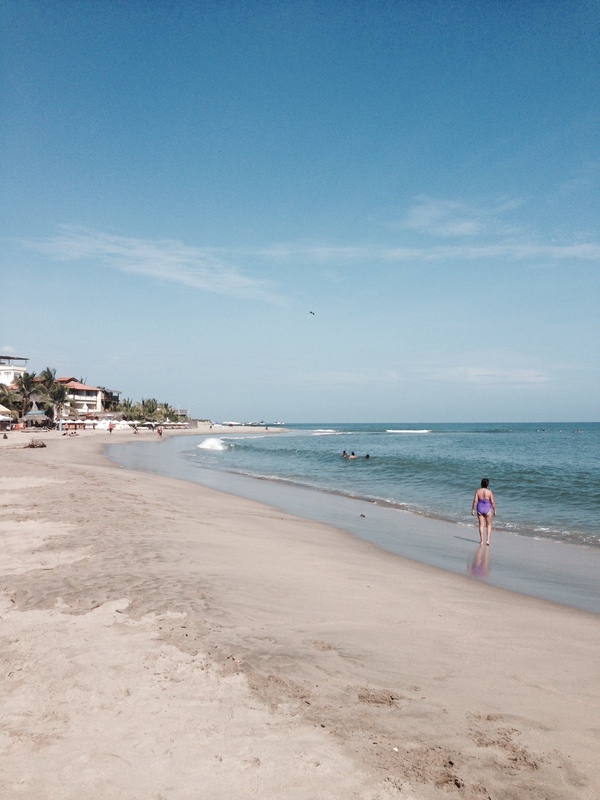 Huanchaco’s smaller waves are the perfect place to try out a surfboard! Huanchaco wasn’t all bad though. The one good thing is it is a great place to learn to surf. I found a guy who was willing to rent me a board and wetsuit for 20 soles a day or the equivalent of just shy of $7 dollars. I went out about 4 times and stood up about half. Surfing is so hard and intense. Not sure it is my calling, but I sure enjoy the full body workout that comes with it. If there is one thing I learned about Peru, it is that they love to dance! One of the last sunsets in Huanchaco & view from where I was staying. 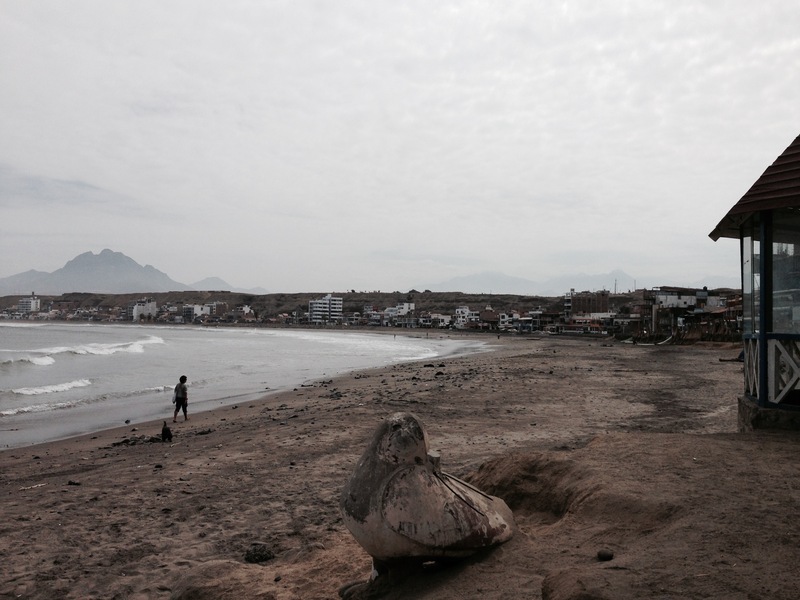 Huanchaco is a fairly sleepy surf town. It is most certainly a town and growing pretty quickly. There are many restaurants, bars and tourists. If you want to learn to surf, it may be one of the best options.